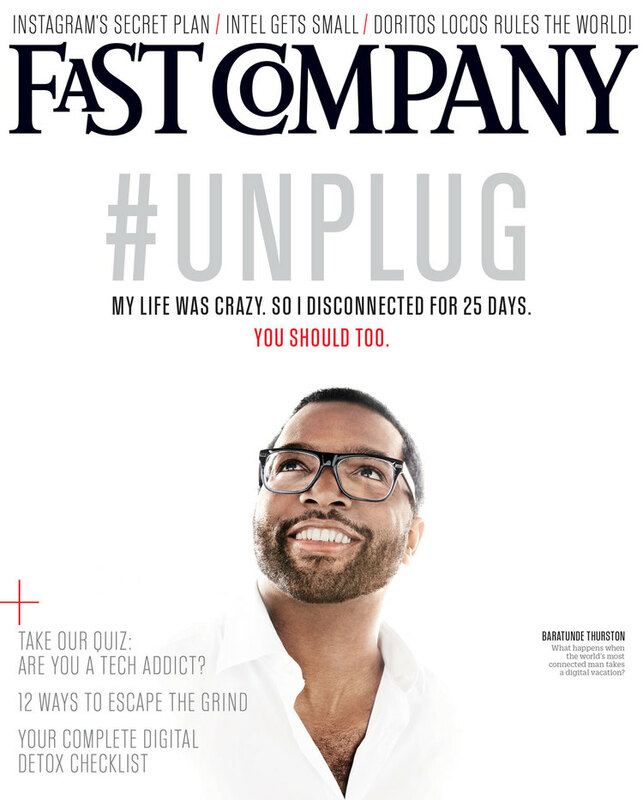 This is the second installment of our monthly video series wherein I chat with Baratunde about his monthly column in Fast Company. Only this time things are a little different because we’re not talking abou the back page, we’re talking about the cover. 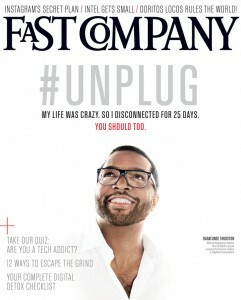 That is where Baratunde’s story (and face) are featured this month. So check out the video—it’s only 10 minutes this time, we’re getting better—and learn whether Baratunde ever cheated on his 25-day quest to disconnect from social media and email. There’s also some analogy about space and meteors and orbits that I’m still not totally sure I understand.